Relaxed fit trouser with a tapered leg and side stripes. 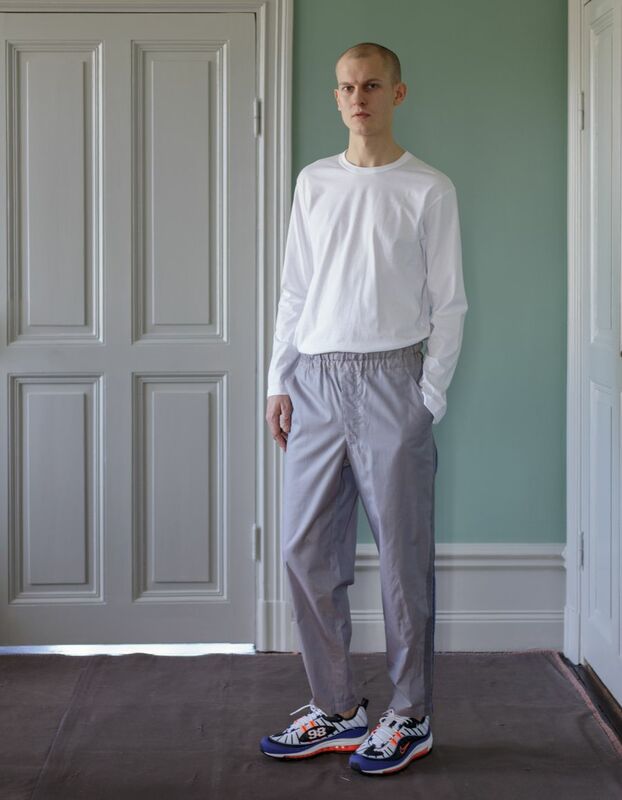 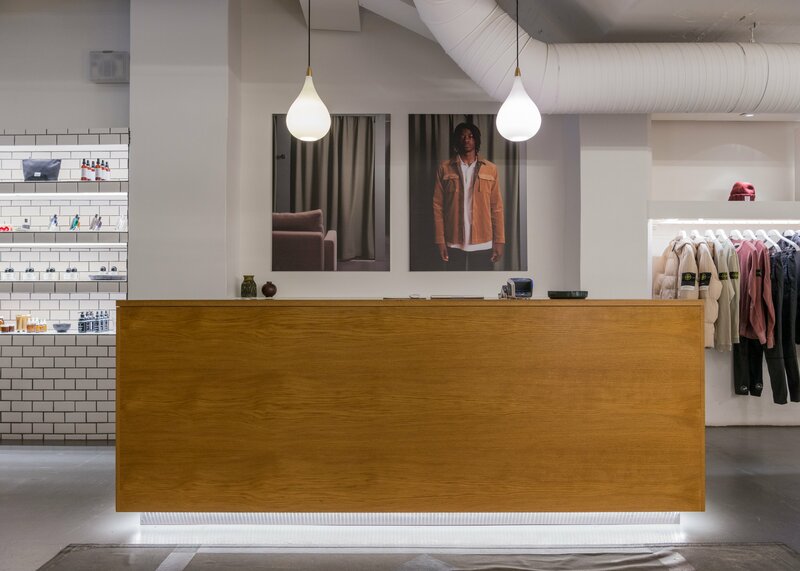 Lightweight cotton composition. 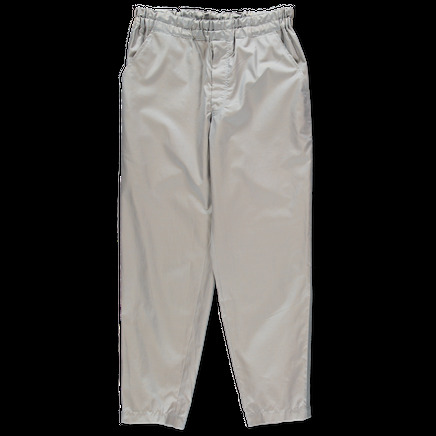 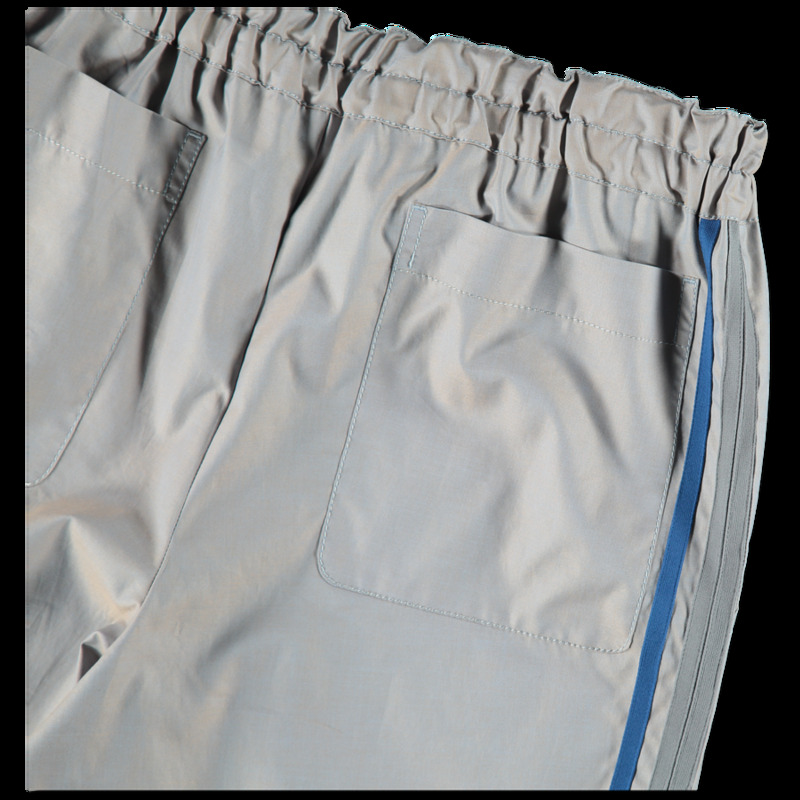 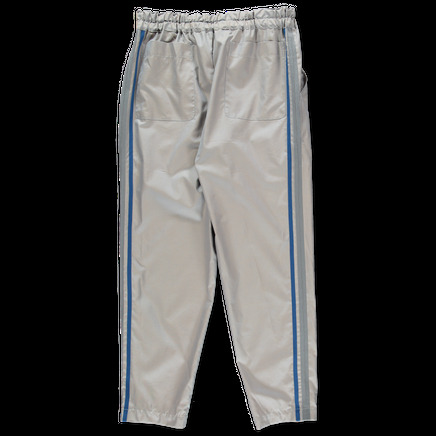 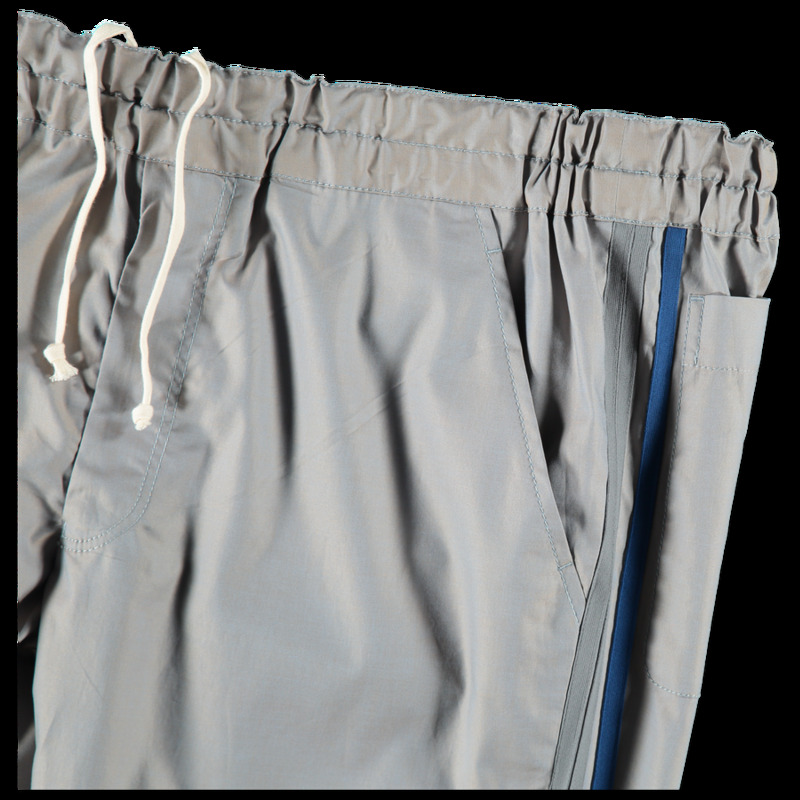 Elasticated drawstring waist, side seam pockets and double back patch pockets.